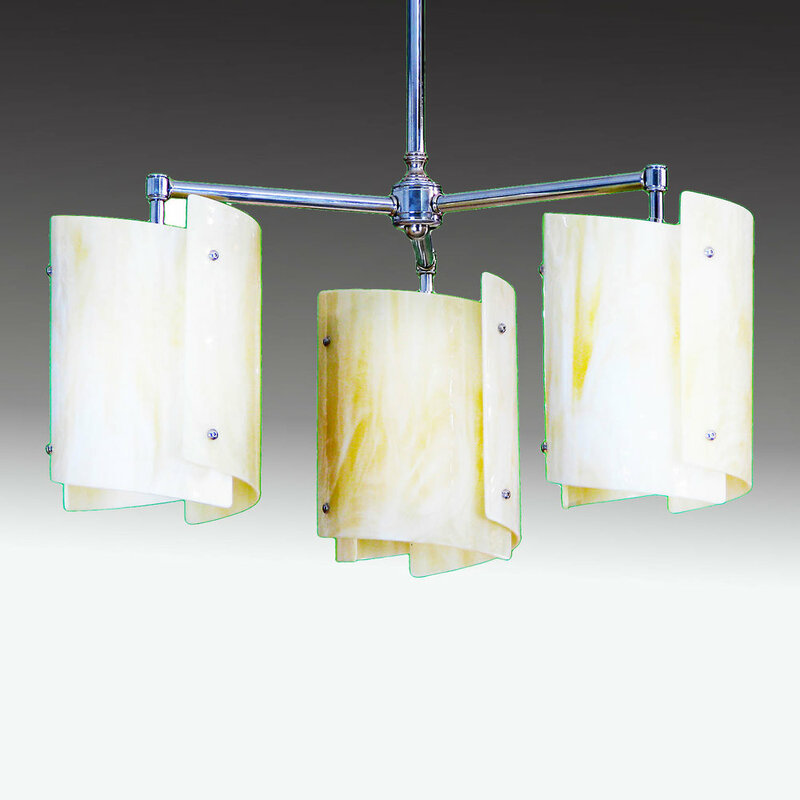 Pendant 3 light fixture. Nona may be specified with a trio of any of our pendant lights. Simple elegance is not always easy to find, but here it is. Three Sushi elements are mounted radially from a central hub. With up to 300 watts of illuminating power, this fixture will light a dining table, a pool table or a kitchen island with ease. The armature is available in satin chrome or oiled bronze. 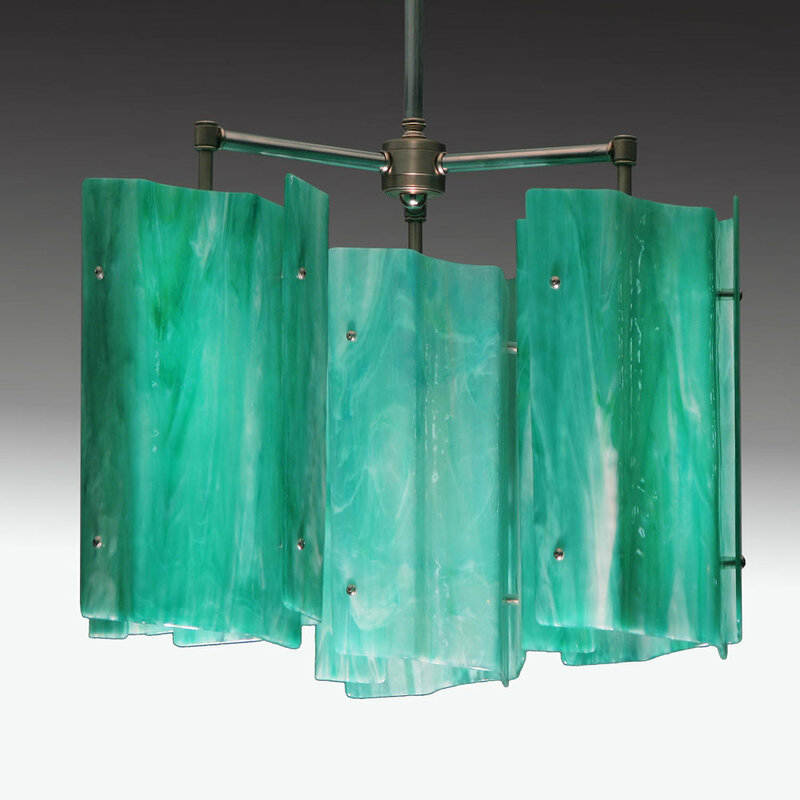 The glass elements are available in our very large collection of American art glass. Comes with 3 feet of ½" tubing drop tube in chrome, satin chrome, satin brass or dark oiled bronze with matching canopy and articulated hang straight. Custom colors available. Drop tube lengths greater than 3 feet are $10 per additional foot.